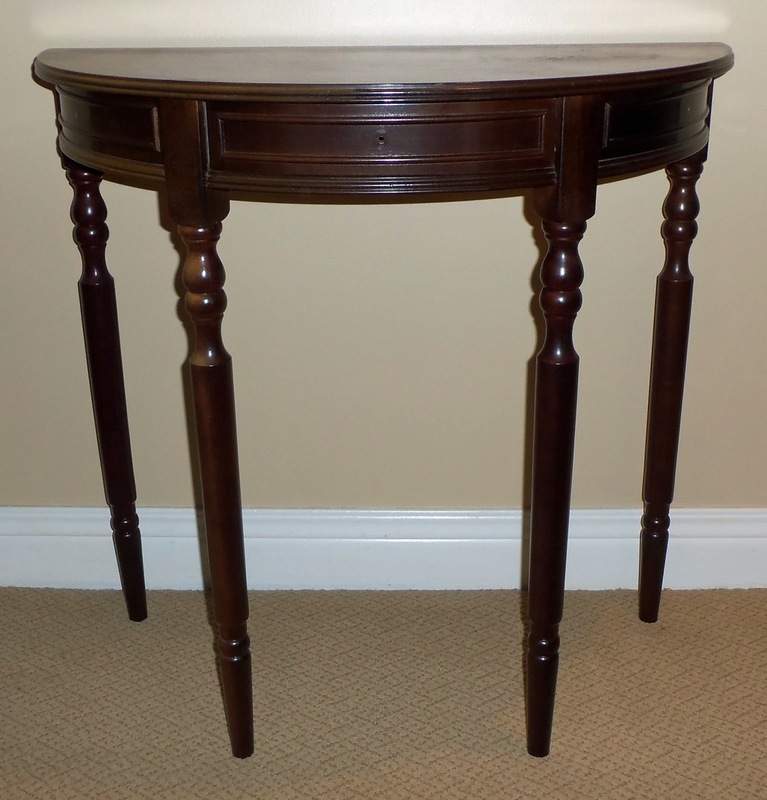 I scored this great little console table at an auction for $5 sometime last year. It was the perfect size and I loved its lines but was in need of some loving especially on the top. It has sat in my garage since then awaiting its makeover. 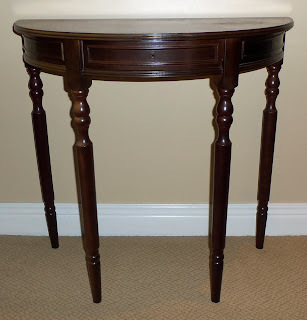 Centsational Girl's console table was my inspiration to finally refinish it. My first step was to sand it and then I sprayed it with Krylon's Blue Ocean Breeze . I love this color and knew it would provide me with a bright base upon which to apply my favorite wax finish. 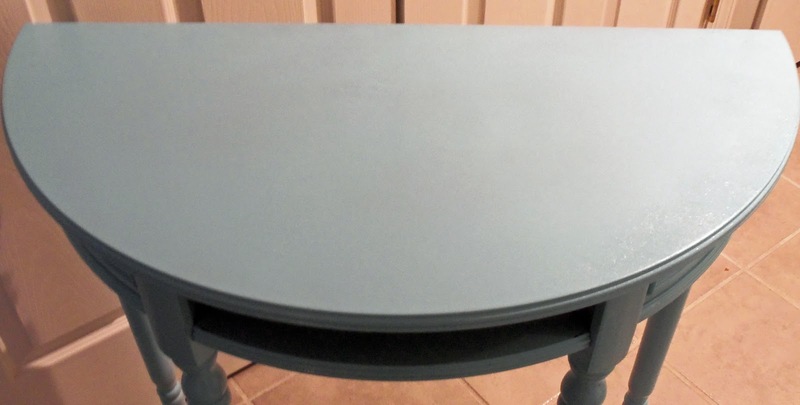 Below is the table after two coats of Blue Ocean Breeze. I also lined the petite center drawer with scrapbook paper as shown below. I then took out my trusty, 'go to' Howard Citrus Shield Premium Paste Wax in Golden Oak and applied it generously in a circular motion over the entire piece. After 10 minutes, I began buffing and buffing some more, leaving just enough to achieve the distressed look I was hoping for. The faux crystal knobs were finds from Michaels dollar bins...score!!! Very nice results! Love the dollar bin knob too! Well I am just going to refer to you as Larissa...and I love spray paint too. I know what chemo can do to one's hair...I was born with curly, had chemo and low and behold came back just as curly! What I really wanted was Marcia Brady's straight hair! Your table here is just lovely and you blog is so pretty too. Going to be your newest follower. Have a wonderful week Larissa!!! This table has such good bones and the shape is so pretty. I love the paint color you chose. Beautiful job! seriously five bucks! such a lucky steal! it looks so pretty. i love love love it! wish i had more space :) i'd love to redo some furniture like that! thanks for the inspiration! 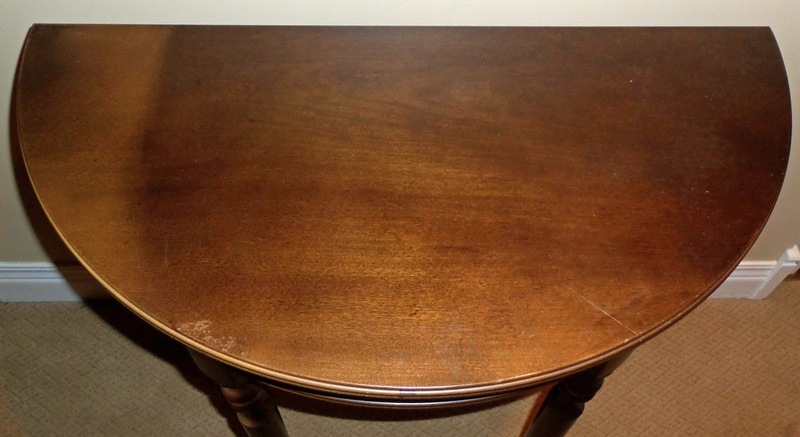 Love the way your table turned out. What a great find. You inspire me Heather....this turned out beautifully. 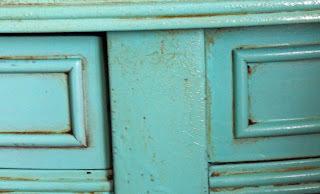 I have all my Mother-in-Laws French Provencial furniture I am thinking about redoing. If I can spray paint all those pieces it might be doable. Great Job!! Oh my! Just stunning! Fantastic work! Love this! I wish I had a table like this for my room, beautiful job as always! Beautiful! I am always a tad bit leery of my spray painting skills...I lean towards the overspray/drippy side. 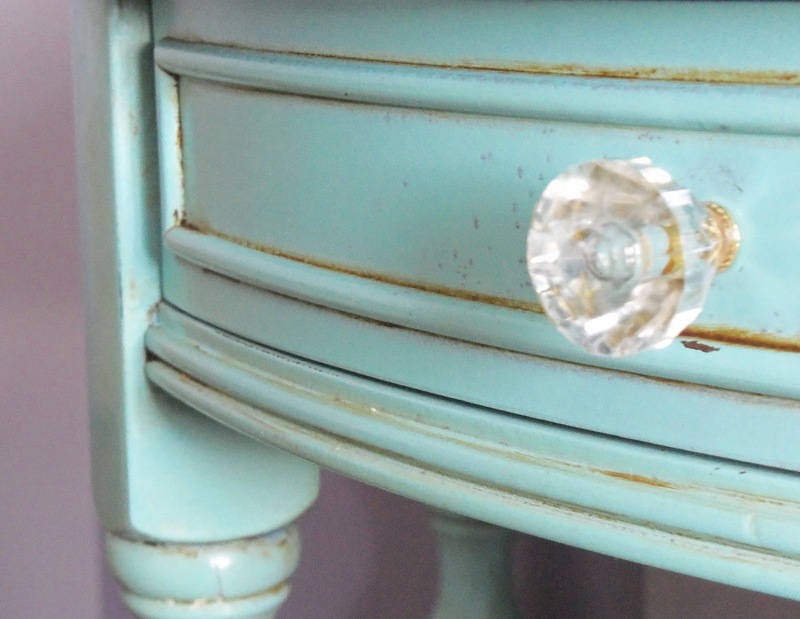 This table is "stunnning" & you make it sound soooo "easy" to do! It looks absolutely gorgeous in your daughter's bedroom...Lucky daughter! Wow, I never find nice furniture like that. You did a great job turning it from blah, to wonderful! 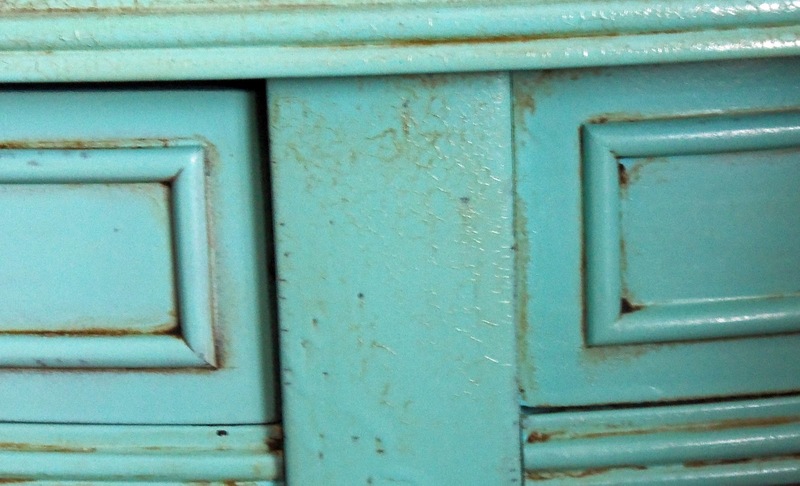 I love the color and the knobs (another lucky find!). And I have to say, the purple striped wall with that pretty blue is fantastic! Oh wow, I love the wax finish! It turned out great and what a great find with the glass knobs! I love that little table and those cute details! Love it! I would love to have something like this in our basement when we get it finished. I'm going to Pin this and try it later:) Thanks for sharing! Very cute and really like the color. I never heard of this dark paste wax before, but look easy to work with, so thanks for sharing that. You found a great find for $5, don't know if I've been that lucky at an estate sale. Thanks for sharing your inspiration at Sunday's Best. I've featured this on my Facebook page. 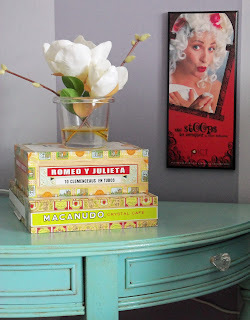 i did a turquoise nightstand in my daughter's lavender room too. i love your transformation and it looks so good against those stripes. very pretty. i love that! the color is awesome and i love that wax- i need to find some of that! Thanks so much for sharing, please come back Wednesday night to relink where you will get a lot more traffic. I surprised and confused everyone with a linky party on Monday on a specific subject--stretching our creativity. How cute is that?! I love the 3 little drawers, it looks so great! It is beautiful! I think you did such a good job! Please come show this off at my place today! 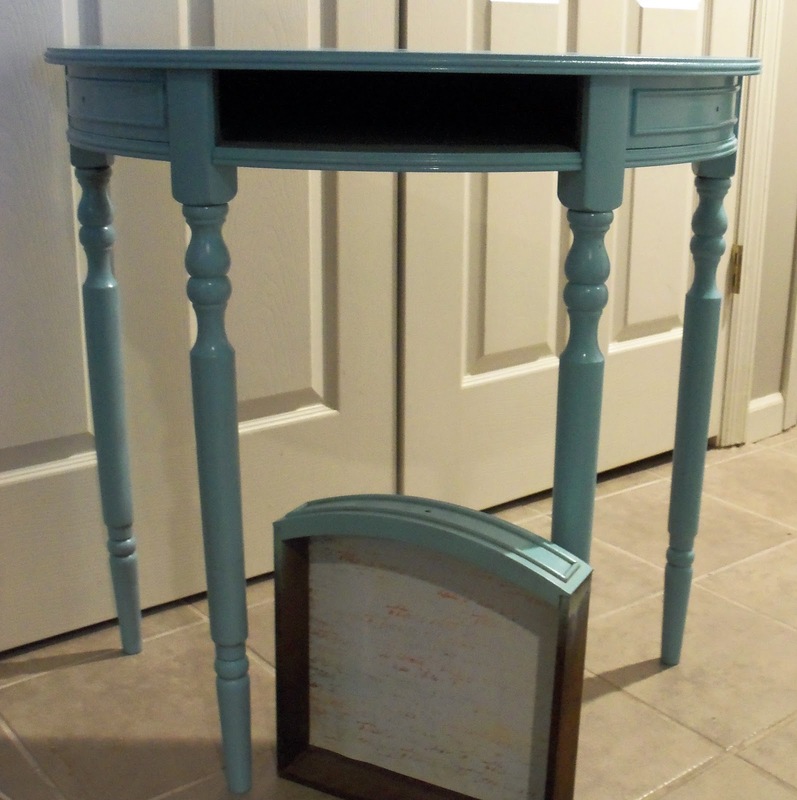 I love your little console table and especially love the color. A lot of my recent projects have been in that same shade of blue. There's nothing a little spray paint can't fix! It's lovely!! What a beautiful piece of furniture! Super cute! The color really pops against your gray/white stripes. Awesome job!! Love the color!! Your newest follower!! This looks amazing! 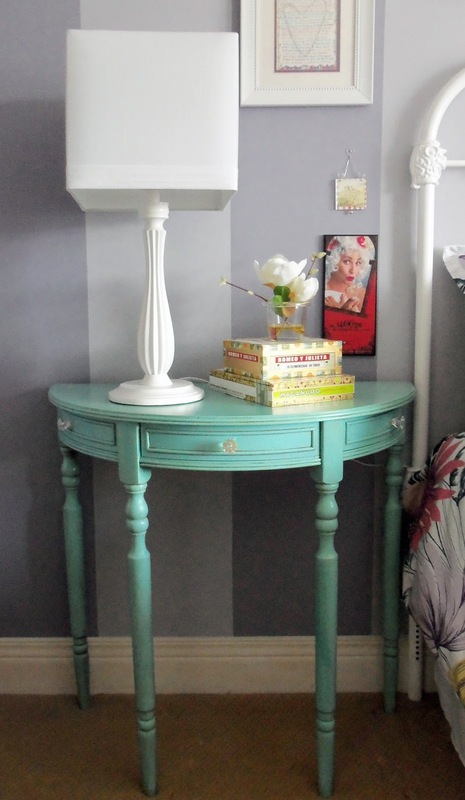 I love a pretty console table and some blue ocean breeze! I'm your newest fan! That is insanely amazing!!! I've never used wax, but I'm going to give it a try. I have a very similar table in my front entry way that just may get a new paint job :). I'm your newest follower and I'm pinning right away! $5!?!? Wow! What a beautiful transformation! I adore the color and envy the price!! Well done! Love it! I would never think to spray paint furniture. 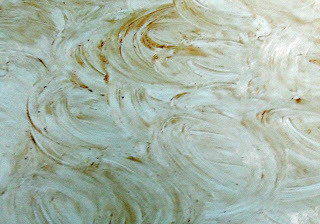 I guess I am an old school painter but I just love it!! Thanks for sharing. I like the effect of the wax! Great job! Wonderful job! Followed over here from WhipperBerry.... The distressing on this piece is really stunning. It's a great transformation! wow..5$ and spray paint..oh my goodness, I have so much to learn! Thanks for sharing. It is nice to know that you can get good results with just spray paint and wax! That is my kind of redo. $5 is my limit! so I'd be jumping up and down for that! Love the table, and what you did with it. What a deal and it turned out gorgeous! Love the color! Heather your table turned out gorgeous! Love the color you chose! I love it! I'm too impatient for spray paint...I always overspray and get runs. You've inspired me to try it one more time. I'm now following you! Hey! Thanks for entering this into our Link Party! I'm going to write back to your e-mail too. Really glad to make the connection! Thank you for sharing your wonderful post at Potpourri Friday! Very nice transformation. I love the color you chose. What a perfect bedside table! Thanks so much for linking up! I love love love it! I also love the staging of the table and you pics are great! I featured this project over at the Pomp Party. I LOVE the new color! 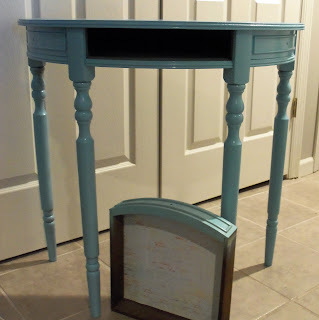 This side table is so cute! Looks great with the wall! I'm featuring it later tonight!! 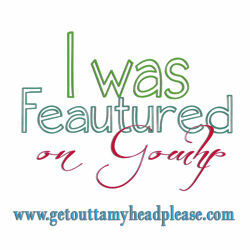 Thanks for submitting this to our Link Party! We've featured you in this week's round-up. Unfortunately, we don't have a button yet, but one's coming! We'd love to have you submit yet another project in this week's party! I LOVE your console table and I also love your stripes behind it. Do you have a picture of the whole room along with the paint colors you used? Would love to feature them both on my blog. Thanks, Larrisa! Spotted this on Pinterest today and clicked through. I appreciate your instructions especially as a less expensive alternative to an Annie Sloan look. 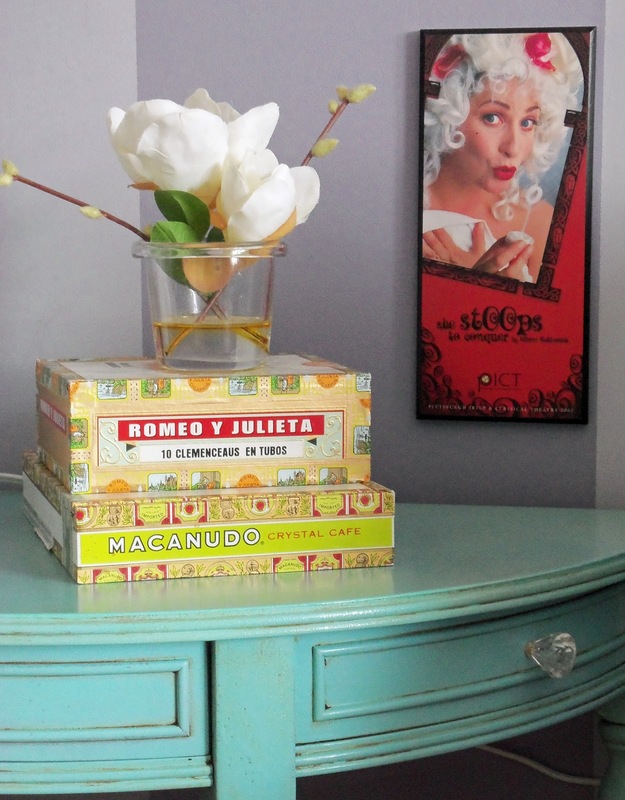 Love your nightstand! My question is, doesn't the wax get sticky to the touch when it's on that thick?